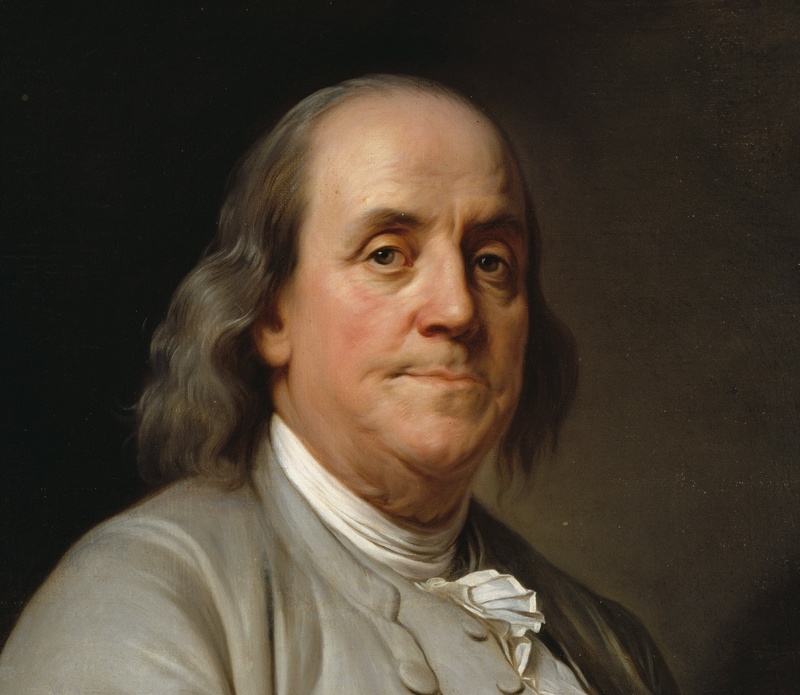 Portrait of Benjamin Franklin (1706-1790) by Joseph-Siffrein Duplessis in 1785 (cropped). oil on canvas. Image File:Benjamin Franklin by Joseph-Siffred Duplessis.jpg with copyright expired in public domain available on Wikimedia.